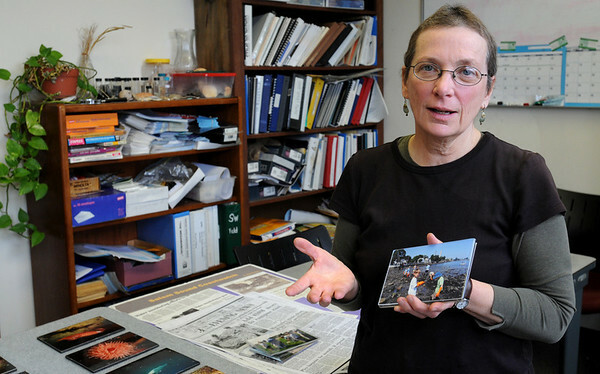 Barbara Warren, Executive Director of the Salem Sound Coastwatch, is in her office in Salem. Salem Sound Coastwatch will hold a symposium, “What is the State of Salem Sound? Past, Present and Future,” Friday, March 25 and Saturday, March 26, from 9 a.m. to 12:30 p.m. each day. Photo by Ken Yuszkus/Salem News, Monday, March 21, 2011.